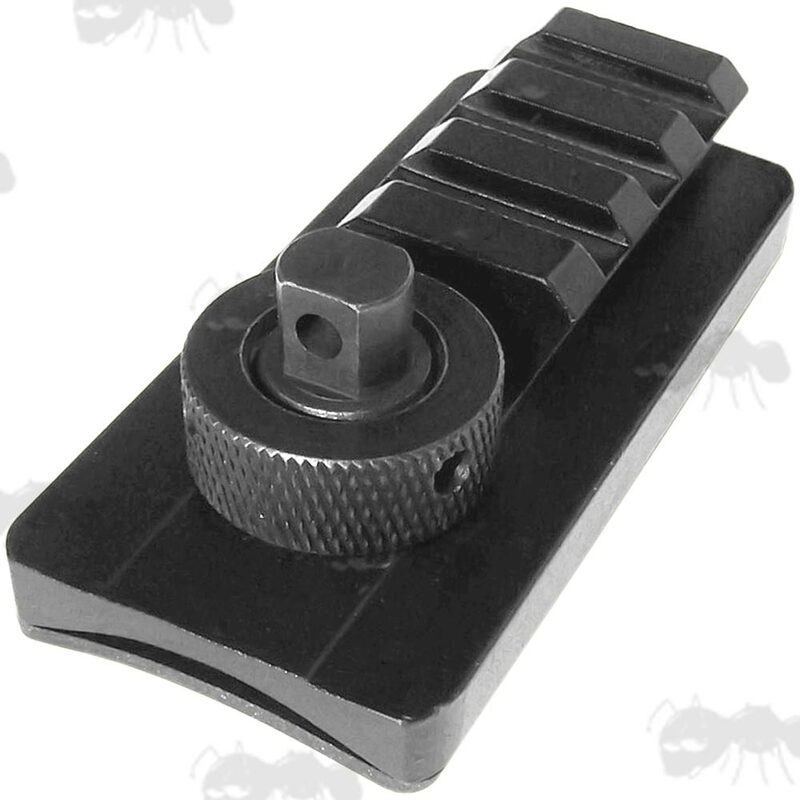 For fitting a Weaver / Picatinny rail to your sling swivel stud. 60mm long overall with a single slot. 75mm long overall with a three slots. Aluminium base with steel fittings. 20mm long weaver / picatinny rail. The longer model suits Atlas bipods. 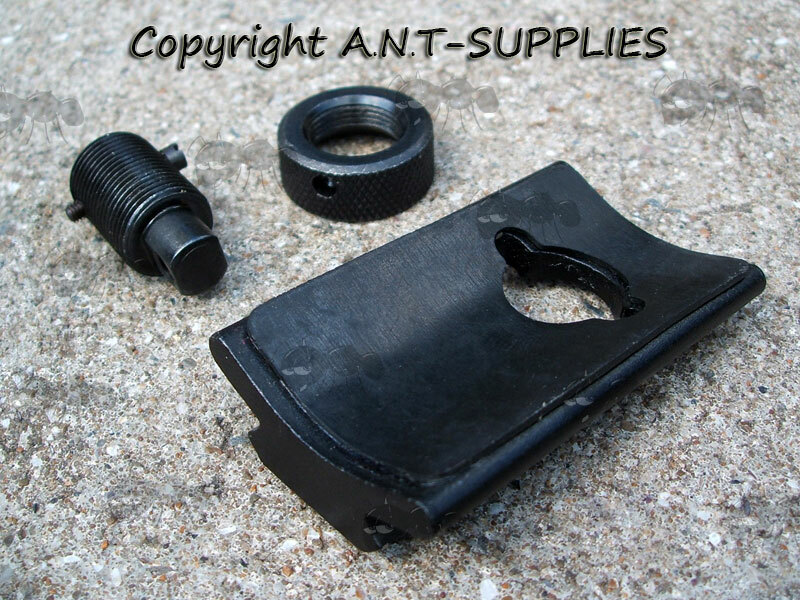 Sling stud bipod rail adapter for 20mm rail fitting bipods. With a sling stud extension so you don't lose out on the stud. 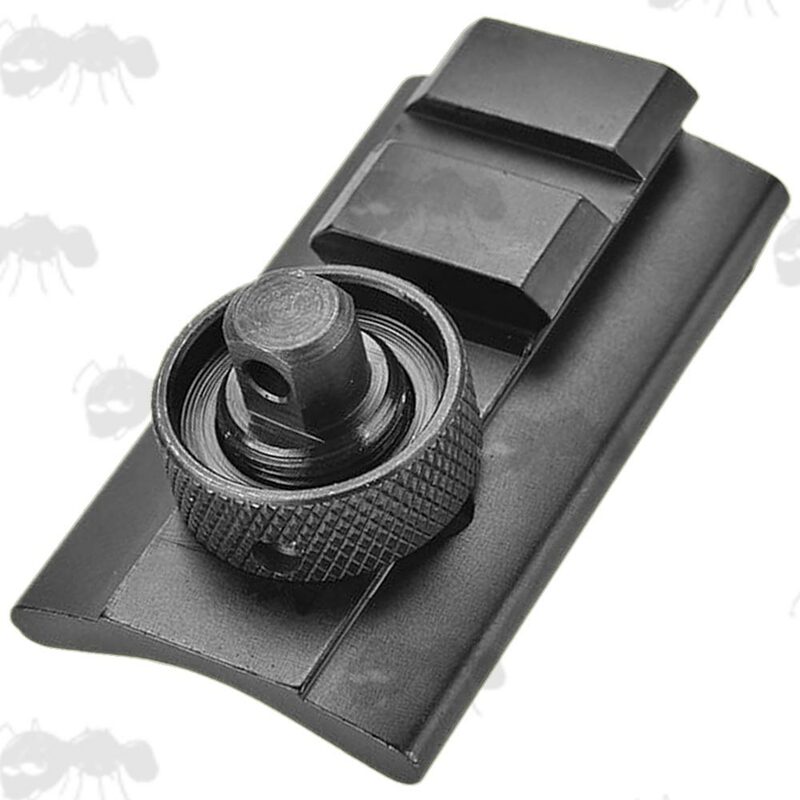 Simply place the swivel stud extension over your existing swivel stud. Tighten in place using the cross-screw. Hold the base rail section in place and start tightening the large locking nut. Please note; they fit studs up to 9.5mm, however we occasionally get one that only fits up to 9mm, which will not fit all QD studs, we do try and check them all but if any problems please let us know. If you see this message, it means that your browser doesn't support iframes or they are disabled. 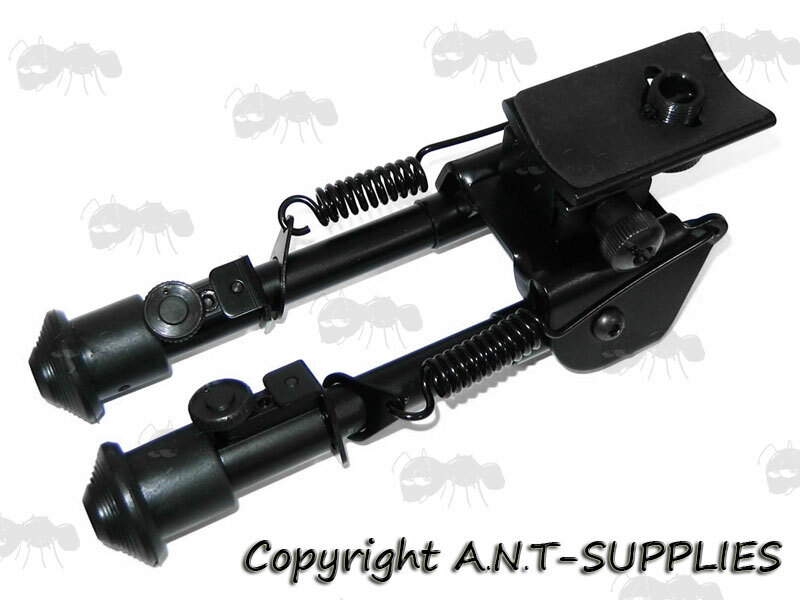 You can access the information shown in this frame here: Bipods Product Scroller.